Shortly after the death of Pope Albino Luciano on the 28 of September 1978, hardly thirty three days after being elected successor of the today blessed Paul VI, different versions began doing the rounds that John Paul I had been murdered and did not die a natural death as the official version had maintained. But few paid attention to these warnings as they were coming from outside the church. 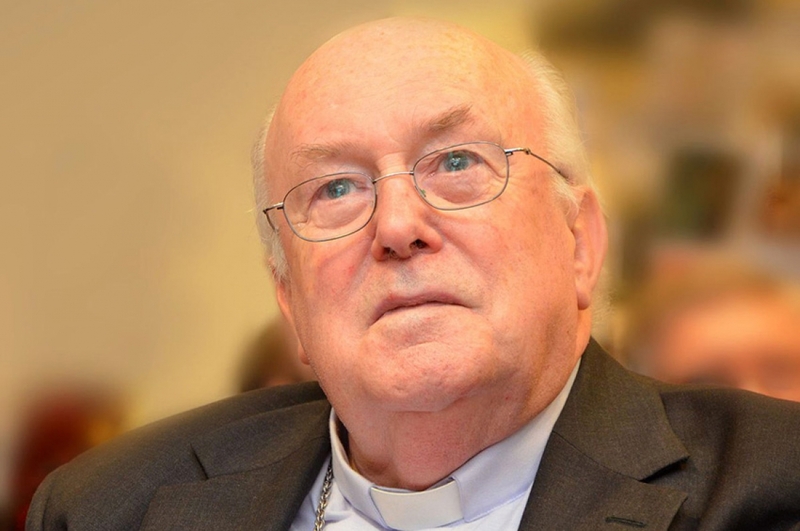 Osho, Yallop, Cornwell, Szymanski and others claimed to have obtained trustworthy information about the murder which was said to have taken place in the midst of corruption scandals in the Vatican and at the behest of ecclesiastical masonry. The majority of Catholics accused them of trying to smear the church and bring it into disrepute by way of a calumnious story without foundation. It wasn’t until the year 2000 that the first voice coming from inside the church was raised and besides from a respectable member with high ecclesiastical duties. The Spanish priest Jesús López Sáez, founder of the Ayala community, an expert on John Paul I, a member of the European team on Cathecumenism, responsible for the Pastoral Commission on adults in the National Catechesis Secretariat of Spain, published a book “El día de la cuenta”, in which he documented how high Vatican officials affiliated to masonry, murdered Pope John Paul I in relation to matters of corruption going on between the Bank known as the Institute for Religious Works (IRW) and the Ambrosiano Bank of Milan. The Cardinal Secretary of State, Jean Villot and the Secretary of the Vatican Bank, Bishop Paul Marcinkus, are the ones most probably responsible for the murder. The investigation, which took López Sáez fifteen years, is extremely rigorous, it doesn’t state anything that is not based on documents and first hand testimony. Among the most eloquent testimonies is that of Sister Vincenza, who revealed that the powerful Secretary of State had silenced her, that John Paul I had not died with the Kempis book in his hands but rather ecclesiastical documents. Also the testimony of Doctor Da Rios, Luciano’s private doctor, who stated that the Pope was in perfect health, had no heart trouble, contrary to what had been said, and that he hadn’t prescribed anything for him by telephone on the evening of the 27th of September as the public had been told. The communique of the Secretary of state said that Pope Luciani had died of “acute myocardial infarction”. But, according to the testimony of Giovanni Gennari, professor of the Diocesan Seminary in Rome, who was close to Albino Luciani, the Pope had died rather by the ingestion of a strong vasodilator that a doctor in the Vatican had prescribed for him, knowing that he suffered from low blood pressure. All the witnesses had been silenced and forced to support the official version but once Villot had died (1979) and Marcinkus had been sent to the United States, the fear of reprisals disappeared and they were willing to tell the truth of what they knew. But, what did Albino Luciani know that was so uncomfortable for this group? In 1972, while Patriarch of Venice, he had severely confronted Marcinkus because the latter had sold the Catholic Bank of Véneto to the “Catholic” Ambrosiano Bank of Milan, presided over by Roberto Calvi, the so-called “banker of the mafia”. Marcinkus had carried out this operation without consulting the Bishops of the region, i.e. Luciani himself. When Luciani went to the Vatican to ask and demand why the church was getting rid of a popular bank dedicated to those most in need with low interest rates, Cardinal Benelli answered him that Marcinkus, Calvi and Michele Sindona were conducting operations to take advantage of the wide manoeuvring margin of the Vatican. Basically, tax evasion by large Italian businesses and Vatican portfolio investments were being facilitated through tax havens such as Nassau, Bahamas, Liechtenstein and Panama. Sindona, who had worked since 1957 for the mafia in Palermo, reinvesting the gains from heroine trafficking, had formed a close friendship with the newly appointed Archbishop of Milan, Giovanni Battista Montini, later Paul VI. When he became Pope, Sindona came to collaborate in Vatican finances. The reaction of Luciani, on hearing Benelli’s revelations on the financial operations of the Vatican was to ask him with great disappointment: “And what has all this got to do with the church of the poor, in the name of God!” Cardinal Benelli interrupted him and said “No Albino, not in the name of God, but in the name of profit”. Luciani related this to his private secretary, Mario Senigaglia, after his conversation with Benelli, as stated by López Saéz. Montini’s relationship with ecclesiastical masonry and communism began in 1944, at a high level meeting between Montini and Palmiro Togliatti, leader of the Italian Communist Party, who had returned from his 13 years exile in the Soviet Union, as reported by the Vatican chronicler Mary Ball Martinez. She relates, how at this meeting, an agreement was made between the Christian Democrats, the Socialists and the Communists to obtain complete control of Italy in any post-war government, as also the conditions for an agreement of rapprochement between the Catholic Church and the Soviet Union. This meeting, Ball underlines, took place without the knowledge of Pius XII, since Montini had skilfully kept it hidden from him. In the book “La Iglesia Eclipsada?” (The Church Eclipsed?) It is said that Montini and Togliatti were friends from childhood. It is also said that this wasn’t the only betrayal or deceit by Montini on Pius XII. Andreas Bohmler explains that the straw that broke the camel’s back and exhausted the patience of Pius XII, was an unpleasant incident that happened in 1954, in which a man in handcuffs was seen leaving the Vatican and being put into a car. This man, deprived of his soutane, by order of the Pope, was none other than Monsignor Alighiero Tondi, a Jesuit, and Private Secretary to Montini. As it transpired, Montini’s secretary had access to the Vatican’s secret archive where he got the names of priests who were sent behind the Iron Curtain. He provided Togliatti with this information who sent it on to his Russian comrades, who took charge of martyring and murdering those priests. As soon as Pius XII found out about these very serious events, he expelled Monsignor Alighiero Tondi and had him tried, where he confessed to being a KGB agent, formed in Moscow, who had infiltrated the church. Pius XII got rid of Montini by sending him to Milan as an archbishop, but always denying him the cardinal’s biretta, thus preventing temporarily at least, that he be considered “Papabile”. This very serious case caused Pius XII to become ill. The possible publication of the third secret of Fatima with the death of Sister Lucy in 1949, scared not only the pro-communist Montini but various modernists and ecumenists. Bro. Michel de la Trinité in Chap. VIII of Vol. III of his Corpus on Fatima, later quoted by Fr. Paul Kramer, says that besides Montini, there were others who opposed revealing the secret, among whom the Jesuit, Edouard Dhanis was prominent. 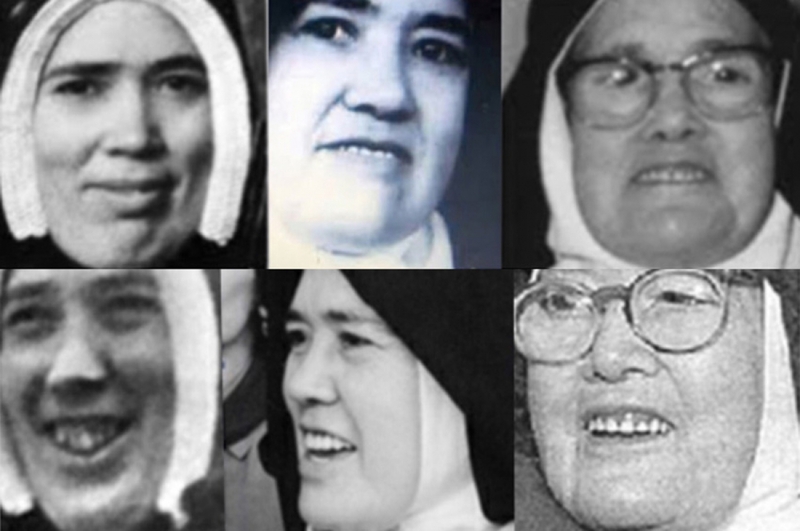 They fabricated the substitution of the true Sister Lucy with an imposter “Lucy”, as well as hiding the second part of the Third Secret, which to this day the Vatican has not wished to reveal. The person that López Saéz calls “The witness of Rome” (Who was Cardinal Eduardo Pironio) revealed that once John Paul I was elected, he made firm decisions on financial matters (The reform of the IRW and the sacking of Marcinkus), as well as openly confronting ecclesiastical masonry and the mafia. Besides, he wanted to reform the Curia and substitute that group of masonic clerics with shepherds who adhered to evangelical poverty. The “witness of Rome” narrated that John Paul I told the Secretary of State Jean Villot: “The heads of the IRW must be substituted; as a Bishop I have suffered bitterness and offenses by events linked to money. I don’t want this to be repeated, the IRW must be thoroughly reformed. Besides, masonry, hidden or open as the experts say, never died, it is more alive than ever, just as that terrible thing called mafia hasn’t died. We must face up to its perverse actions with courage”. That group of ecclesiastical masons and financiers who infiltrated the Vatican as well as prominent Italians, belonged to the Masonic Lodge Propaganda Due (P2), a secret Grand Orient Lodge commanded by Licio Gelli. On the 12th of September 1978, two weeks before the murder of John Paul I, the journalist Mino Pecorelli, a repentant member of P2, published a list of members belonging to the Lodge. The article was published in his Magazine Osservatore Politico with the title “The Great Vatican Lodge”. Members of the hierarchy, high level civil servants, army generals, members of Parliament, members of police and secret services, judges, newspaper owners and television executives, the business mogul Silvio Berlusconi, the supreme court judge Ugo Ziletti, the minister for Justice Adolfo Sarti, financiers, and of course the bankers Sindona and Roberto Calvi all appeared on the list. There were 121 ecclesiastics on the list including Cardinals Bea, Casaroli, Villot, Bugnini, Lienart, Suenens, Dadaglio, Pappalardo, Baggio, Mons. Marcinkus and dozens of Bishops. Immediately after the publication of these lists, the Milan prosecutor, Pierluigi Dell’Osso, ordered a search of Licio Gelli’s mansion where the lists referred to by the journalist Mino Pecorelli were found. A few days later Licio Gelli was arrested. Pecorelli was murdered on the 21st of March 1979. A huge message from the Brotherhood. On foot of this, the Lodge was broken up, after a law was issued in Italy prohibiting secret societies. In 1981 an attempt was made against John Paul II (with the knowledge of the Secretary of State Agostino Casaroli, a collaborator like Paul VI of the Soviet Regime) and President Ronald Reagan. Both attempts were unsuccessful and morally and politically strengthened the victims. At the beginning of 1982 the Banco Ambrosiano went calamitously bankrupt and became part of the Bank of Italy. On the 17th of June that year Roberto Calvi was murdered in London and the following day his body was seen hanging from Blackfriars Bridge. Another huge message. In March of 1986 Michele Sindona died in jail poisoned with cyanide in his coffee. The Vatican was accused of holding secret funds coming from the United States for the Polish Trade Union Solidarity, for CIA black operations and for the Nicaraguan Contras, through the Ambrosiano Bank. The accusations were watered down by way of political diplomacy. Italian justice acted very slowly with regard to Paul Marcinkus, but finally in 1987 the Roman prosecution finally ordered his arrest. Pope John Paul II preferred to create a diplomatic conflict with Italy before letting Marcinkus, who had channelled funds to the Polish Trade Union Solidarity, take a fall, and he refused to hand him over invoking diplomatic immunity. Marcinkus had channelled more than 50 million dollars of the IRW to the catholic trade union in Poland, something for which John Paul II was enormously grateful. Because of it, Marcinkus had become an all powerful figure within the Vatican. For their part, Calvi and Sindona covered up the losses of the IRW by way of the Ambrosiano, as the Vatican Bank was one of the shareholders. Total losses amounted to 1,400 million dollars. Both Calvi and Sindona were sacrificed to cover up these losses. During the searches of the archives of Ambrosiano Bank, sponsorship letters were found signed by Mons. Marcinkus in the name of the IRW that supported the operations of Roberto Calvi. As the commitment had a moral character, the Vatican was obliged to pay millions of dollars to the Bank’s creditors. 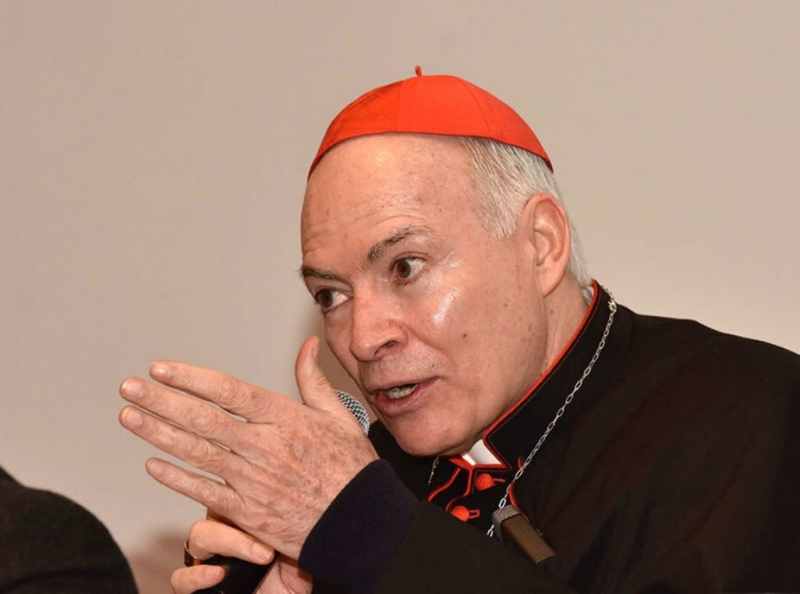 To prevent the Ambrosiano going broke, Roberto Calvi went to the Opus Dei who bought 16% of the Bank’s shares for 240 million dollars in return for future privileges within the Church. Marcinkus remained for a long time enclosed within the Vatican walls, until the arrest order was revoked by the Supreme Court, at the request of the Vatican, invoking the Lateran Treaty of 1929. John Paul II finally withdrew Marcinkus from the IRW in 1989 and ten years later transferred him to Sun City, in the suburbs of Phoenix in the United States, where he continued playing golf until his death on the 21st of February 2006 of a heart problem. Regarding the attempt against John Paul II, the Turk Ali Agca confessed years later that he was able to do it thanks to the Bulgarian secret services, the German embassy in Italy and various Vatican functionaries who helped him get to St. Peter’s Square. 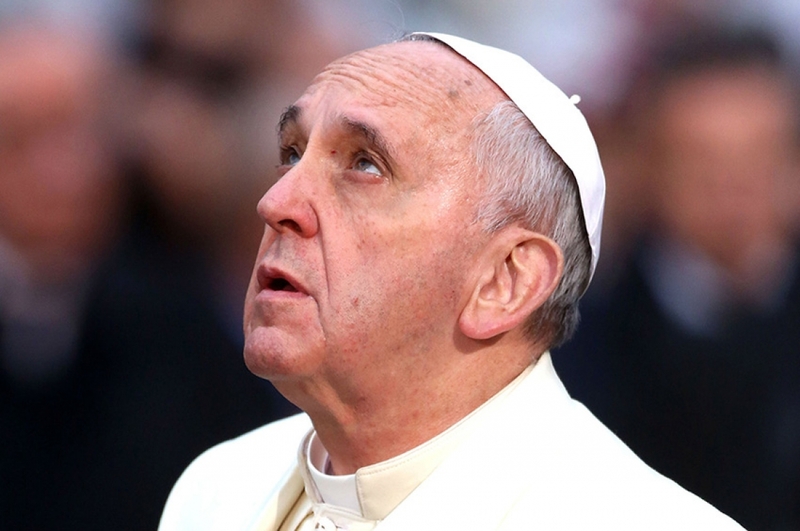 According to the testimony of Germano Pattaro, personal theological adviser to Albino Luciani, a few days into his Pontificate, the Pope already knew a plot was being organised against him, he sensed his death and knew who his successor would be. This is not normal for a newly elected Pope in good health and not very old. Don Germano related that one day the Pope said to him: I feel and I am, poorer than before. I am an instrument of a design by God which goes beyond and transcends me. For how long, I don’t know. But it won’t be for long. There is already one who will take my place. In the conclave he was sitting in front of me. Paul VI had recommended him when he heard him in the meditations held in the Vatican during the Lenten spiritual exercises of ’77. 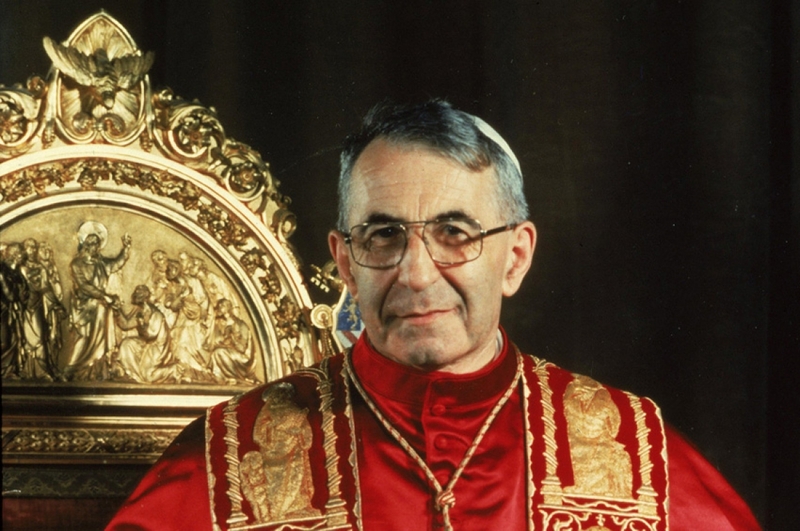 Forty years after his murder it is right to pay tribute to the memory of John Paul I. The Patriarch of Venice always received the poor, whom he called “the true treasures of the church”. He used to make his pastoral visits by bicycle or using a boat lent by the firemen or the hospitals of the diocese. Likewise, he authorised rectors and parish priests of the churches to sell tiaras and precious objects (he himself sold his gold pectoral of Pius XII) for the works of mercy of Don Orione. Luciani used to eat very frugally and quickly without paying attention to food. Sometimes, he ordered that his food for the next day be prepared with the leftovers of some banquet. When he became Pope, he did not hold in esteem the tiara of rubies, sapphires and emeralds, the silla gestatoria or pompous protocol. He simply went up the steps of the altar and said mass. He used to appear unannounced in the curial offices (which he planned to reform) and he had begun to visit the hospitals and asylums in Rome. A few days after Mino Pecorelli published “The great Vatican Lodge”, naming people who were adherents of masonry, Pope Luciani told Cardinal Villot that he was thinking of applying major surgery. After a long discussion, he gave him the project with the changes he hoped to implement: all the masonic prelates would loose their jobs. And he added: “What concerns me is my sole mission of not betraying Our Lord Jesus Christ”. Luciani used to say: “The Church should not have nor possess riches. I want to be the father, the friend, the brother who goes as a pilgrim and a missionary to see everybody, who goes to bring peace, to confirm my sons and brothers in the Faith, to seek justice, to defend the weak, to embrace the poor, the persecuted, to console prisoners, the exiled and those without a country and the sick”. This was the programme of his life and Pontificate. In justice, forty years after his murder, we must reject the idea of a weak, sick and incapable Pope, who suffered a heart attack under the weight of the Curia and the Church. No, it wasn’t the Curia, but rather some elements within it, whose interests were threatened. And if John Paul II undertook a canonical reform so that causes of martyrdom be accredited not only for “Hatred of the Faith” but also for “Heroic Love”, we could well affirm that John Paul I is a martyr, and the cause for his beatification, which already concluded the diocesan phase, would be decidedly accelerated. It would be great recognition for the “Pope with the smile” who in a few days captivated the world with his simplicity. If so many canonizations have been for liberals like Paul VI, even shepherds belonging to masonry like John XXIII, it is right to ask if conservative causes like Pius XII and martyrs? Like John Paul I do not also deserve a little promotion. We owe enormous thanks to the priest Jesús López Sáez for having carried out such a courageous investigation in the midst of not a few difficulties, whose book has been finally uploaded to the internet to be downloaded free of charge. It’s an historical monument to the truth.